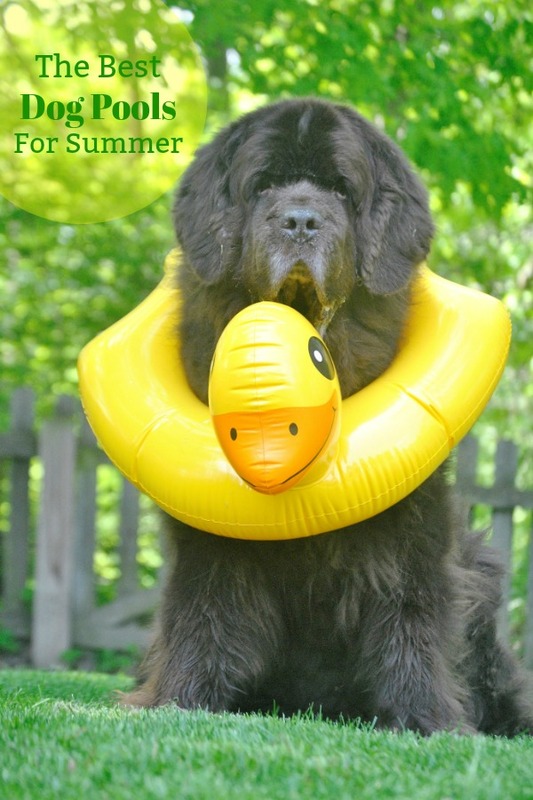 If you’re searching for a dog pool for your dog to take a refreshing dip in this summer we’ve rounded up some our favorite dog-friendly pools that most dog would love to lounge in! 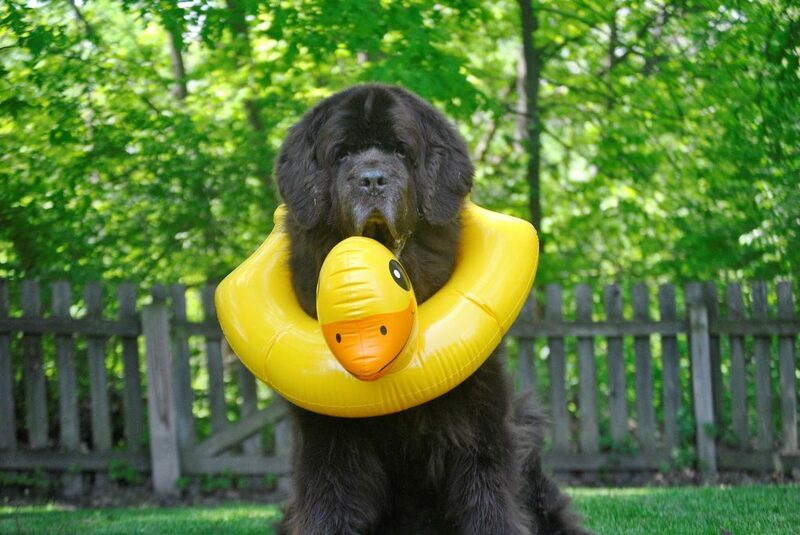 Most dog pools come in either hard plastic, vinyl or PVC so before we get started, an important thing to keep in mind is how your dog is going to use that pool. 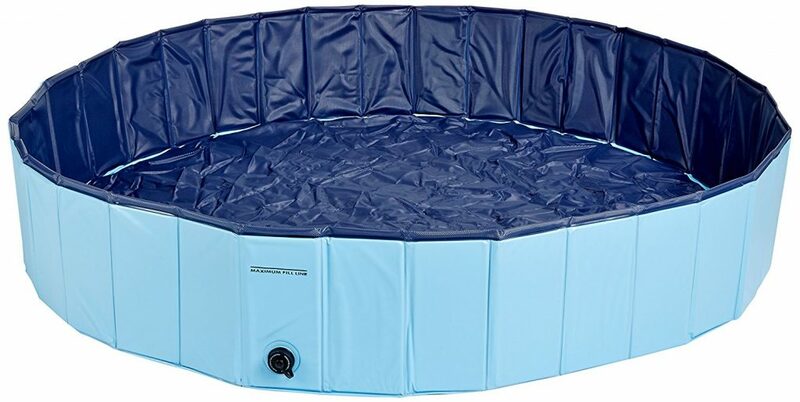 Pools made out out of a heavy duty PVC would be a good choice for dogs that are going to really use that pool to play. For instance, if they like to dig in water, take running leaps or try to actually swim, a PVC pool would be the way to go so that they don’t rip it instantly. 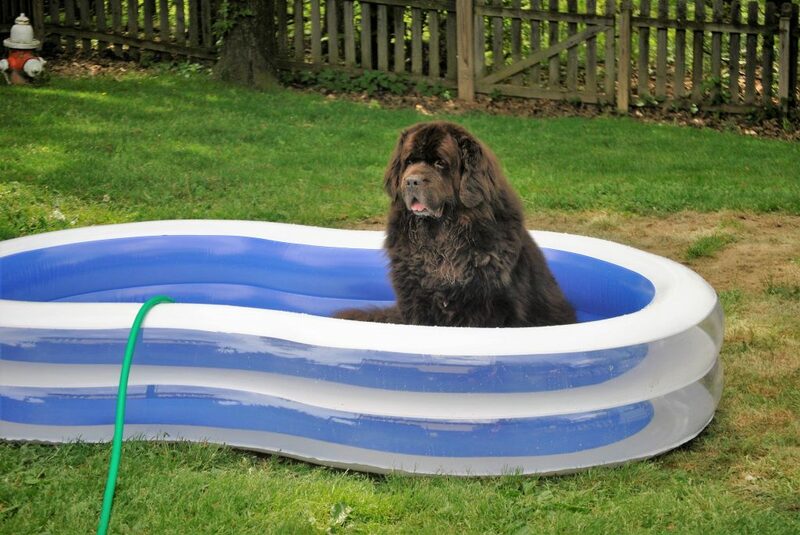 If you have a dog like Sherman who just uses a pool to lounge in, you might be safe with a basic plastic kiddie pool. Here’s some of the best dog pools we were able to round up this year. If I was rich, this would be the pool that Sherman would have. I would make it an in ground pool and build a deck around it. This pool is made with a truck bed liner material to withstand basically any wear and tear that a dog can throw at it. It’s chew and UV resistant and has a cap for easy draining.It’s 66 inches long and 11 inches in deep. The pool weighs 23 pounds without water and is manufactured in the United States. This pool looks like it has great reviews on Amazon and it seems to be pretty sturdy. It comes in 3 different sizes. The largest is 63 inches and holds 192.25 gallons of water. It’s collapsible for easy storage and it has a plug to make draining easy. Similar to the Cool Pup Pool but it’s red. It’s 63 inches and 11.8 inches deep. It’s made out of a tough PVC lining, fold easily and has a drain plug. Looks to small for a giant breed but its super cute for smaller dogs. 48 inches in diameter and 16 inches deep. It’s made from a thick PVC and dips for easy entry. It does have a drain plug and it folds for easy storage. Those are dog specific pools but of course you could also get a kiddie pool. 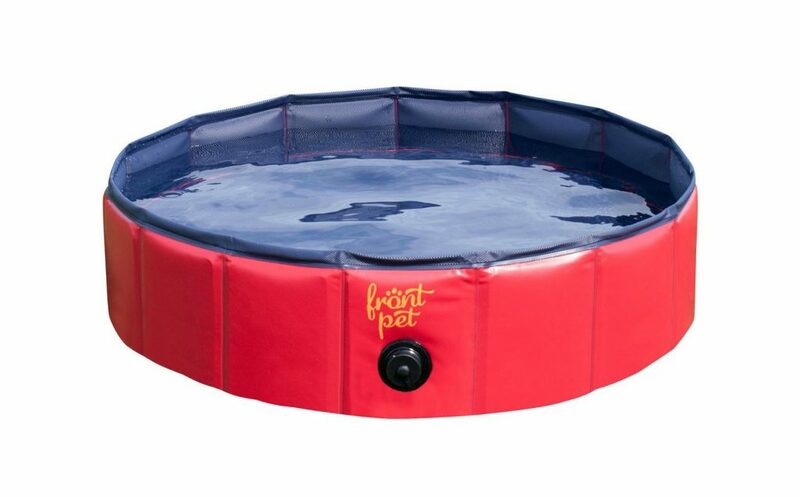 Just remember that kiddie pools are deigned for kids and most aren’t going to be made out of a heavy PVC material to protect against dogs nails and biting. 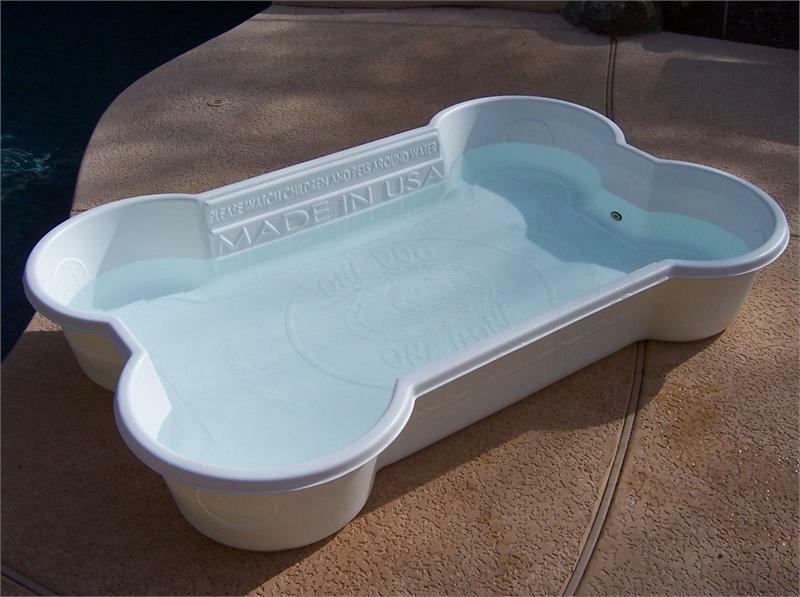 I’ve also seen many people use a Rubbermaid Stock Tank as a pool for their dogs. 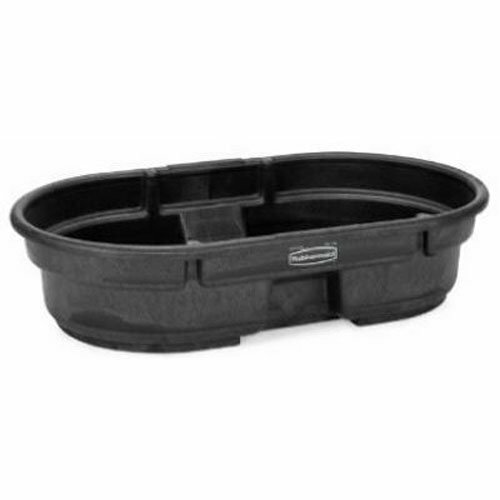 With a sleek appearance and smooth black color, this stock tank features an oversized drain plug for easy draining . Stepped side walls and reinforced ribbing provide added strength and stability. Available in five sizes. It’s normally used for water reservoir for farm animals but it seems like there’s a lot of people on Amazon that use it for their dogs. This is close to the one that we have. We got it from Walmart on sale 2 years ago and it’s help up pretty well. It’s made out a heavy PVC material but it has ripped once from an actual nail, not a dog nail. We easily patched it though. 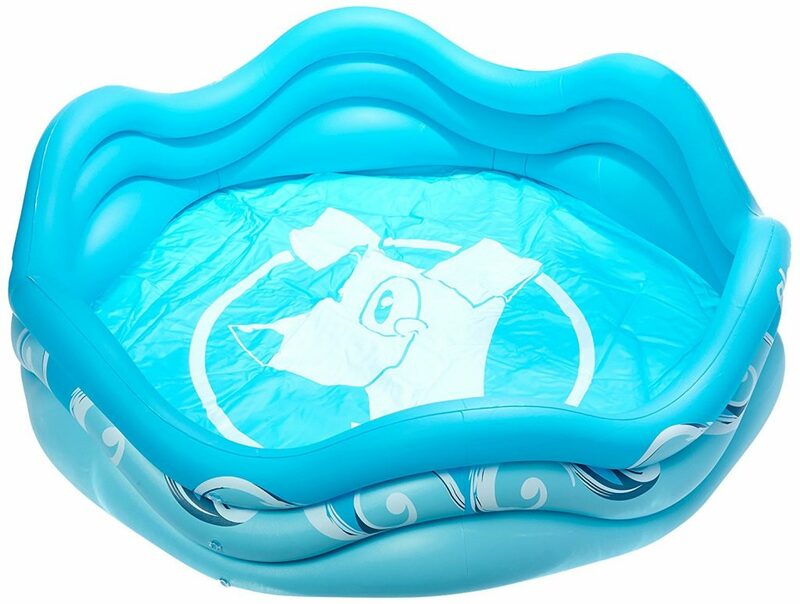 And of course you can always get the normal, standby plastic kiddie pools. One thing to keep in mind with dog pools is to make sure that you are keeping it clean. There’s no filter so bacteria and fungi can easily build up if it’s not drained regularly. You should also scrub dog pools down a few times during the season using soap and warm water and don’t let water become stagnant because it can become a breeding ground for mosquitoes..
Make sure that the bottom isn’t slippery. I’ve noticed that some of the plastics can get slippery causing a dog to slip when they get in. You can always use shower mats on the bottom to keep your dog from slipping. I’ve caught Sherman dozing off in his pool before so dogs should never be left unattended in their pool, especially a little dog in a big pool or a senior dog. Keep the pool out of the sun, especially on a hot day. Your dog is in the pool to cool down. I’m sure they don’t want to be sitting in luke warm water.